Nationwide are back! 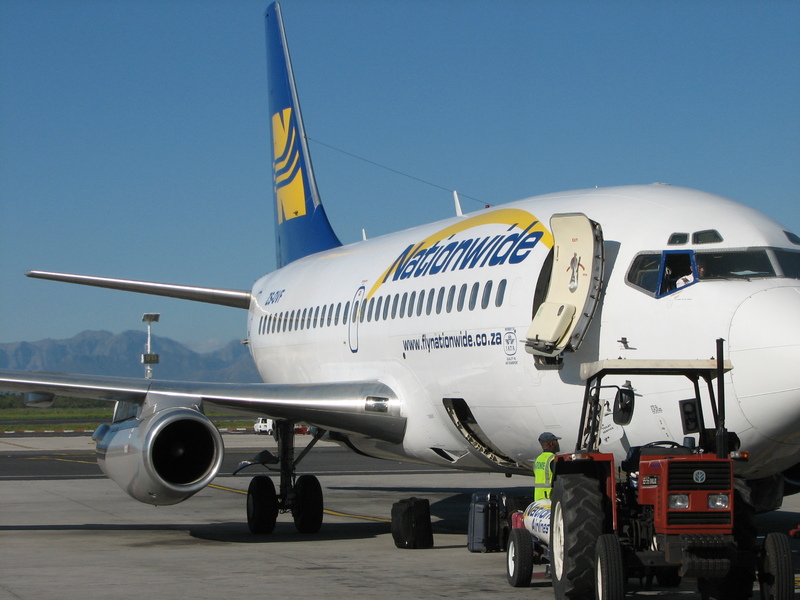 We looked at flight prices from Durban to Cape Town on the 22nd February 2008, and Nationwide are the cheapest. Nationwide flight 628 leaves Durban at 1700 and arrives in Cape Town at 2015, costing R691 for the one-way flight. On the Durban to Cape Town flight route, Nationwide are in a neck and neck tussle to be the cheapest airline. With it being the cheapest airline this week, Nationwide airlines have now been cheapest on the Durban to Cape Town flight route in 4 of our surveys, and Mango Airlines have been cheapest in the 3 surveys. However, Mango Airlines holds the record for the cheapest ever flight price from Durban to Cape Town (R477, surveyed on the 30th June 2007). Nationwide must have suffered losses whilst it was grounded, and the concern is that they go insolvent, leaving airline tickets purchased worthless. 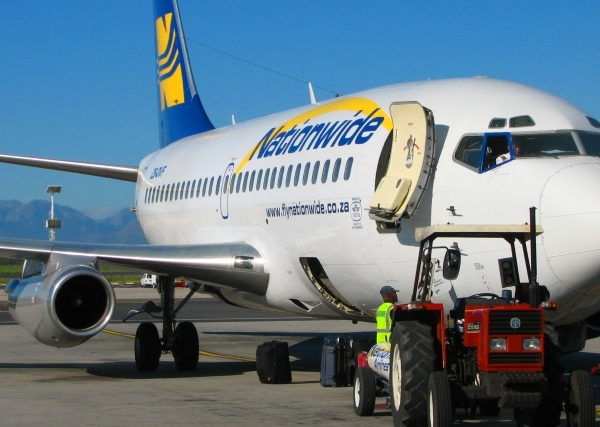 Nationwide are also the only airline in South Africa which doesn't publish its balance sheet - I would like them to publish their balance sheet, so that potential passengers can be reassured that there is little chance of them going solvent. A photo of a 1time airline plane taxying at Johannesburg's OR Tambo International Airport, taken from International departures. We want to cover India flights a bit better and are now covering flights from Johannesburg to Mumbai, India (previously known as Bombay). "You cannot have civil servants trying to design rules that make everything a level playing field. That's called North f$%#*%g Korea, and everybody is starving there." Michael O'Leary (the man in charge of Ryanair flights) after it was ruled that Ryanair would have to repay more than 4 million Euros to the Walloon government; as written in the book by Alan Ruddock: s "A Life in Full Flight: The story of the man who made Ryanair take off".